Doomsday Clock is coming in November, DC announces. I’ll make this quick. 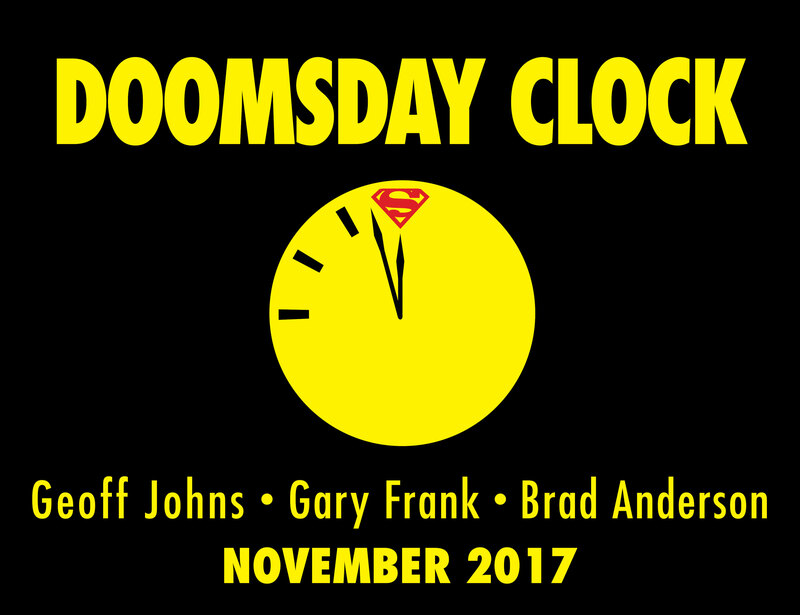 DC just announced what everyone’s known is coming — but the devil’s in the details: Doomsday Clock, by Geoff Johns, Gary Frank and Brad Anderson is due this fall. In the most anticipated story of the year, New York Times bestselling writer Geoff Johns confirms Watchmen will make an epic return to the DC Universe this November. As “The Button” crossover comes to a close in FLASH #22 this Wednesday, the four-page epilogue affirms the mystery will continue with DOOMSDAY CLOCK from Johns and legendary artists Gary Frank and Brad Anderson. Much more to come on this, but there you have it. (By, the way, check out our celebration of the return of Jay Garrick in this week’s aforementioned The Flash #22. Oh, and check out our 13 QUICK THOUGHTS on why we’re completely cool with all this. Click here.